This cream is a triple correction anti-aging moisturizer that contains the breakthrough combination of Ferulic Acid and Retinol and a trademark-pending ECG Cellular Complex to target the fibroblast cell, visibly improving the appearance of fine lines and wrinkles at the surface level and beyond. 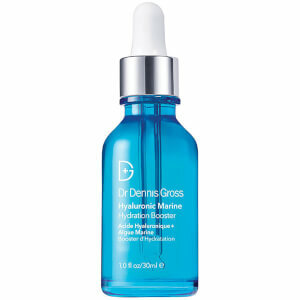 This formula provides time-released hydration as the ECG Cellular Complex, which stands for "Elastin Collagen Growth", works to strengthen the skin's own regenerative ability. This moisturizer helps to counteract the visible signs of aging, increase the natural moisture barrier and restore elasticity to sagging skin. Ferulic Acid provides protection against sun damage. Retinol helps to smooth lines and wrinkles. Ellagic and Gallic Acid help to reduce dark spots and photodamage. Glycolic Acid helps to reduce visible signs of aging. Centella Asiatica and Arnica promote healing. Smooth over clean, dry skin. For AM/PM use. For best results, layer over Ferulic Acid + Retinol Brightening Solution. Water/Aqua/Eau, Dimethicone, Isododecane, Cyclopentasiloxane, Dimethiconol, Cyclohexasiloxane, Butylene Glycol, Stearyl Dimethicone, Caprylic/Capric Triglyceride, Sodium Acrylate/Sodium Acryloyldimethyl Taurate Copolymer, Potassium Cetyl Phosphate, Octadecane, Cetearyl Alcohol, Polymethyl Methacrylate, Isohexadecane, Collagen, Ferulic Acid, Gallic Acid, Ellagic Acid, Arnica Montana Flower Extract, Centella Asiatica Extract, Retinol, Glycyrrhiza Glabra (Licorice) Root Extract, Tocopherol, Morus Alba Leaf Extract, Sodium Hyaluronate, Arctostaphylos Uva Ursi Leaf Extract, Citrus Aurantium Bergamia (Bergamot) Leaf Extract, Citrus Aurantium Bergamia (Bergamot) Leaf Oil, Glycolic Acid, Lactic Acid, Hydrolyzed Soy Protein, Glycine Soja (Soybean) Oil, Adenosine, Saccharide Isomerate, Salix Alba (Willow) Bark Extract, Tetrapeptide-21, Caprylyl Glycol, Glycerin, Glyceryl Behenate, Acrylates/Carbamate Copolymer, Tetrahydropiperine, BHT, Benzophenone-3, Glyceryl Stearate SE, Citric Acid, Bis-Vinyl Dimethicone/Dimethicone Copolymer, Dimethicone Crosspolymer-3, Cyclodextrin, Sodium Citrate, Tetrasodium EDTA, Hexylene Glycol, Polysorbate 80, Phenoxyethanol, Potassium Sorbate, Sodium Benzoate, Annatto. I have been using Dr. Dennis Gross Ferulic Plus Retinol Anti-Aging Moisturizer for four week. The moristuruzer is creamy and feels good on my face, but due to my age (over 60) there have been no visible line reductions. I have used this cream since it's inception. This moisturizer has a silky consistency - it keeps my skin plump and moisturized, without being greasy. two thumbs and an elegant pinky finger out! Okay this product is perfect for those lazy folks who want nice skin but with minimal effort. I got the serum/oil as a free gift but ended up not using it after a few days. This moisturizer did not make my face break out or peel; it actually made my skin softer, wrinkles became less prominent and tone more even. I first tried the sample and actually bought this full size. Easy to use just once in the morning and once before bed. In the morning I just apply this moisturizer followed by sunscreen. I have never received so many compliments, well maybe back when I was 21, about my skin. I really am a minimalist and rarely wear make up, not even tinted lipbalm. This one product seems to work better than my other skin kits which make me go through 8 steps just for slightly softer skin. I think it smells light and I have been known to have a nose like a blood hound (the sensitivity not shape.) I also gave one to my mom and sis in law to try out. This is not going to be a replacement for a surgical facelift but now I do not feel the need for professional aesthetic skin resurfacing procedures. My only gripe is that it doesn't come in a larger size. First, I love the Dr. Dennis Gross line. Normally I would have shied away from this type of product for fear it would be too harsh for my skin. I am 53, sensitive skin, but still battle an oily forehead. I use this product both morning and night. Lightweight, quick to absorb, and I feel like it does a really good job keeping the oily forehead at bay. I also use the extra strength alpha beta wipes every other day. Both products are my new gold standard for what face products should do! I love this cream my face looks better I think it's helped my wrinkles and made my skin look brighter. I've been using it for about three or four weeks now. The other thing I absolutely love is it's not greasy. Even at the age of 58 my skin still produces a lot of oil all these other moisturizers just turn my face into an oil slick. This one makes your face very smooth and soft firmer not at all greasy more mat like LOVE it. 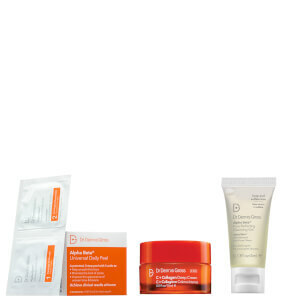 this is my first Dennis Gross product I'm also using the exfoliating pads I like those too. I love this anti-aging moisturizer after having used it for several weeks. It does a great job moisturizing while smoothing pores and fine lines. At 51, I still have an oily t-zone, especially my nose, but this product does a great job mattifying without dulling. My still skin looks luminous but not greasy. For those us us with combination and aging skin, this moisturizer is stellar....I will definitely repurchase! I have been using this a couple of weeks and I really like it. At first I was using twice a day and that was too much. I use it as part of my night routine and use bare essentials moisturizer for day.I have seen my skin even out, it looks younger and brighter. My eye puffiness has gone down and fewer wrinkles. It might be the combination of products rather than just this but, I am very pleased so far.With the 20% off and fast free shipping this is a huge benefit. You can also find this at Sephora but, no discount. This is a full $14.40 off.